Medical malpractice occurs when a patient is harmed by a healthcare professional whose level of care falls below what is considered reasonable under the circumstances. To establish a claim, the patient must hire an expert who can explain how the level of care fell below the standard. The patient must also be able to rule out other factors to show that the deficient medical care was the cause of the patient’s harm. Substantial financial compensation may be available to patients who can prove these elements. If you believe a doctor or hospital made a mistake affecting your well-being, you should seek immediate assistance from a reputable medical malpractice lawyer. For those in the Manchester, NH, area, attorney John B. Kenison, Jr. is available to discuss your case at a time and place convenient to you. Medical malpractice occurs when a patient is harmed by a healthcare professional whose level of care falls below what is considered reasonable under the circumstances. 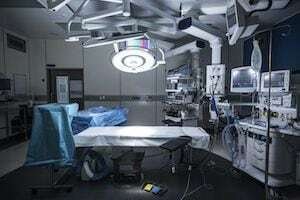 When a hospital, doctor, anesthesiologist, or other healthcare professional causes injury to a patient, either through a negligent act or omission, it is considered malpractice. The care provider and the patient entered into a doctor/patient relationship. Such a relationship is formed when the provider actively examines, diagnoses, or treats the patient (or agrees to provide these services). A duty of care arose on behalf of the provider due to the circumstances at hand. For example, when a patient is left in the care of an anesthesiologist prior to surgery, a legal duty is created requiring the anesthesiologist to act with reasonable care and skill. The provider breached the duty of care by providing substandard services. In other words, a reasonably prudent care provider would have acted differently under the same circumstances. The provider’s mistake caused the harm suffered by the patient. Establishing this link between the error and the injury can be difficult. Consider a patient whose condition worsens after back surgery. The patient must show that, but for the surgeon’s mistake, the patient’s condition would not have deteriorated on its own. The patient suffered sufficient harm. The cost of bringing a medical malpractice claim is enormous. To be a cost-effective remedy, the claim must involve serious injuries. If the injured party cannot establish one or more the above elements, the claim will fail as a matter of law. In the damages phase of a medical malpractice case, the plaintiff’s attorney must prove the full extent of the physical and emotional harm caused by the medical provider’s negligence. The total compensation paid to the plaintiff can be broken down into two parts. First, the plaintiff will receive past damages. These address losses from the time of the injury until the time of settlement or trial. Past damages include compensation for medical bills (regardless of whether the bills have already been covered by the victim’s medical insurance), lost wages, and pain and suffering. The plaintiff will also receive compensation for future damages. For example, if an expert testifies that the victim will need additional surgeries in the months or years ahead, the cost of those surgeries will be included. Future damages can also include things like diminished earning capacity and loss of enjoyment of life. In New Hampshire, a medical malpractice claim cannot proceed unless the injured party hires an expert to testify as to the standard of care breached by the negligent party. Non-medical experts may be needed as well. For example, if there are future damages, an economist will be needed to calculate the present value of those damages so they can be awarded in advance. Pursuing a medical malpractice claim can require multiple attorneys and experts working together on behalf of the victim. Retaining attorney John Kenison is the first step. He will coordinate the entire process and keep you updated all along the way. Tell us about your case and we will respond to you promptly.